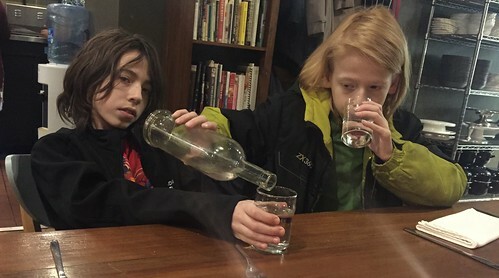 In an effort to prove to you that I still exist even if I haven't posted since January 20 (thanks for pointing that out, pianorox), I give you this photo of what Jack and Quinn would look like if they were the regular boozehounds at your local bar. Here's to hoping that I'm back to more regular posting very soon. Got stuck in Chicago in blizzard last weekend and I looked like Jack and it wasn't water. The Future of Stimeyland. Let's Discuss.